My kids are extremely active…they participate in a number of after school sports and some days they get off the bus and onto the tennis court with only a 15 minute break. That means I need quick, healthy, high energy snacks to feed them so they don’t pass out in the middle of a practice! 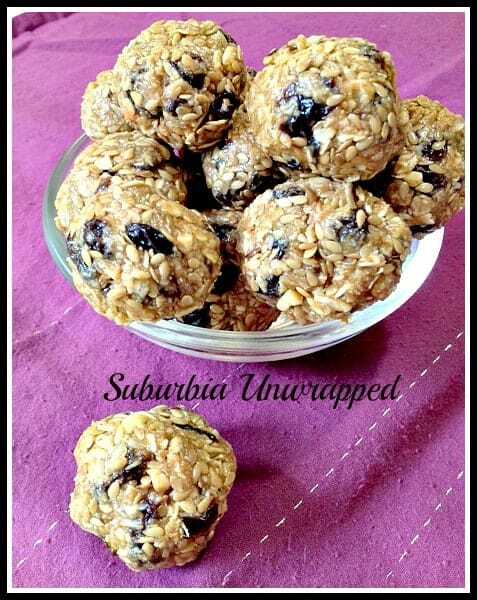 These energy balls are high in protein and whole grains and are sweet enough that they think they are a great treat! They are really easy to make and the ingredients can be altered depending on your kid’s tastes. Those look really good! I love no bake cookies.